Ceramic Technology – Heats faster and dries hair up to 40% quicker producing moist heat. Far Infrared – Maintains safety of the environment and our health. Reduces the level of EMF (Electric Magnetic Fields). Traditional blow dryerscontain up to 1500 mG of EMF that can be dangerous. 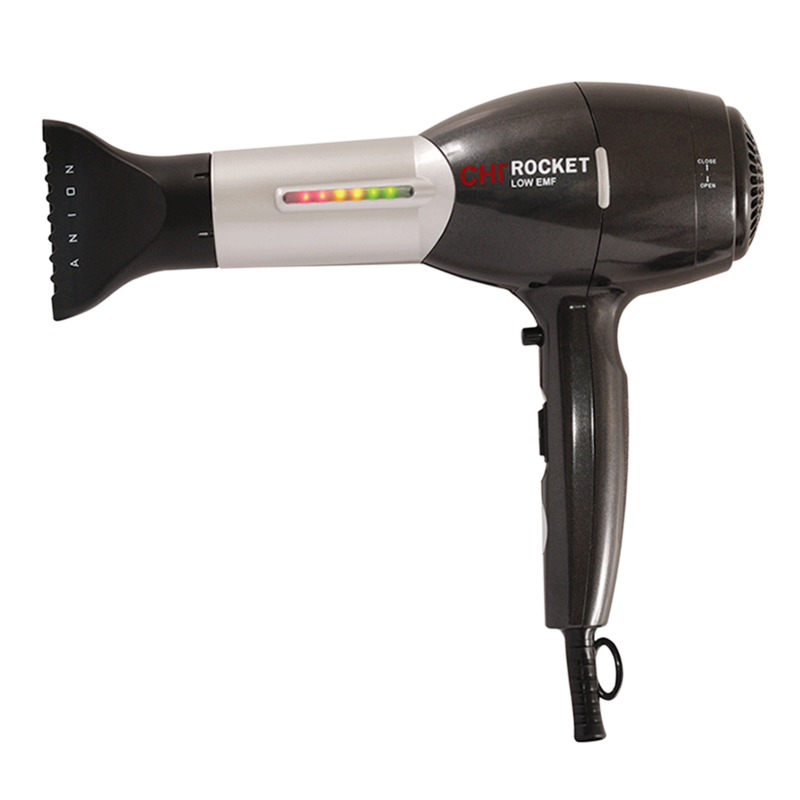 CHI Rocket HairDryer contains less. - Cold Shot Button – Press once for off and once for on. You don’t have to hold it in. Best hair dryer I have ever owned! "Dries hair quickly (about half the time of my old, cheap Revlon dryer), eliminates a lot of frizz and helps produce smooth, shiny results. Have used almost daily for 7 years with no problems! Hair is healthy and shiny even with coloring my hair every five weeks (I think this also is a result of using good shampoo, conditioner and hair products, but dryer has not damaged my hair one bit). My salon stylist said I must not ever put a blow dryer to my hair because it looks so healthy! My only complaint is that it gets heavy in my hand if I want to try to style my hair while blowing, but that being said, it isn''t a very heavy dryer. If this dryer were lighter and more comfortable to hold while styling, maybe with a rubberized handle, it would be THE PERFECT dryer." "The low setting went out after 5mos of owning it....... Plus the buttons are placed in a way thats hard not to tern off while trying to blow dry the hair."